Manuel Raimundo Querino (1851-1923): "Foe collector"
According to Brazilian scholar Wlamyra Ribeiro de Albuquerque, "Manuel Querino is generally described as having a penchant for being reckless in his words and actions; a foe collector." 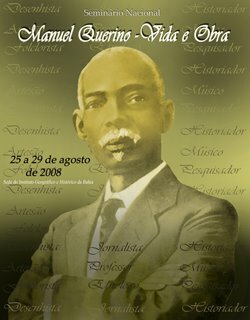 Here is a case in point that illustrates how he got that reputation: Querino was a member of the Sociedade Protetora dos Desvalidos, an association founded in 1832 by a free African, Manoel Victor Serra, for the initial purpose of building up enough funds to purchase the manumission of enslaved brothers and sisters. After the abolition of slavery, it became a "private pension fund" that protected invalids and the elderly. Kim D. Butler describes Querino's relationship with the society as being of the type that was not always "characterized by fraternal kindness" (p. 164). After leaving the society for unknown reasons, Querino asked to be reinstated in 1892, but his request was rejected after two secret ballots "blackballed" him. He finally managed to rejoin the society in 1894. The main quarrel started when Querino began receiving a disability pension in 1896, only to have the payments suspended when the directorate found that "it is well known that this gentleman has been seen lately in various places, parading in uniformed processions, staying up into the night at weddings, and taking strolls, et cetera...." (Ibid.) Coincidentally or not, the society soon stopped receiving its government subsidy - possibly due to Querino's political influence. In the end, it got its own back, by rejecting Querino's request for a retirement pension. In Butler's analysis: "The Querino case raises interesting questions about leadership and political strategies. Querino had risen to great prominence, as a politician, an elector (very few Brazilians of any race met the suffrage qualifications), and a scholar.... 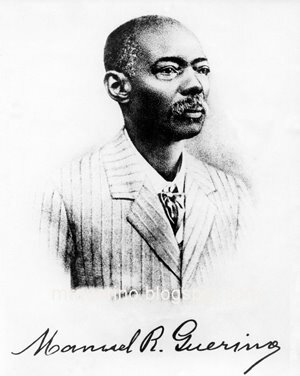 He was intimately acquainted with African Bahian life and customs, yet his experience with the Sociedade calls into question the nature of the relationships he maintained with various sectors of the community of African descent.... Further research may shed light on whether blacks as a group resisted patronage politics, if they rejected Querino personally, or even if Querino sought such a role at all" (p. 165). Despite his prestige and influence, Querino died a poor man. Ironically, the Sociedade Protetora dos Desvalidos now houses the Manuel Raimundo Querino Cultural Centre at its headquarters in the historic district of Salvador, Bahia. BUTLER, Kim D. Freedoms Given, Freedoms Won: Afro-Brazilians in Post-Abolition São Paulo and Bahia. New Brunswick and London: Rutgers University Press, 2000, pp. 164-165. The term "Foe Collector" resonates with me. I think at different points in my life I have been one. I personally know several people who are avid "foe collectors" and who will get a tickle when I tell this to them.